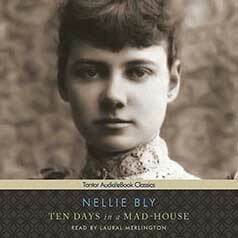 Ten Days in a Mad-House is pioneering journalist Nellie Bly's account of the shocking conditions she experienced as an undercover reporter in the notorious Blackwell's Island insane asylum in 1887. In 1887, Nellie Bly had herself committed to the notorious Blackwell's Island insane asylum in New York City with the goal of discovering what life was like for its patients. While there, she experienced firsthand the shocking abuse and neglect of its inmates, from inedible food to horrifyingly unsanitary conditions. Ten Days in a Mad-House is Bly's exposé of the asylum. Written for Joseph Pulitzer's New York World, Bly's account chronicles her ten days at Blackwell's Island and, upon its publication, drew public attention to the abuse of the institutionalized and led to a grand jury investigation of the facility. Ten Days in a Mad-House established Bly as a pioneering female journalist and remains a classic of investigative reporting. This edition also includes two of Bly's shorter articles: "Trying to Be a Servant" and "Nellie Bly as a White Slave."